At Star Structures of Miles City, MT we consistently maintain our three primary objectives: quality, service and price. Our entire business is built on our history of manufacturing high quality portable buildings, sheds, garages, storage structures and all of our other products. It is our uncompromising quality control measures which allow us to provide such comprehensive service and competitive pricing. Quality is the foundation upon which our service and price rely. At Star Structures of Miles City, MT, quality starts with our designs. Each design is a time-tested winner able to stand up to harsh weather and real-world use. We use only the best lumber and parts for the construction of all of our structures including portable buildings, sheds, garages, and storage structures. Rigid quality control protocols are adhered to at every step of the construction of our buildings. Our large, enclosed Miles City manufacturing facility makes constant inspections simple, even during the worst of weather. We'll work with you to ensure that you get the best Star Structures portable building for your needs. We'll make any of the building modifications we have listed, or adapt our design to facilitate any modifications you require for your perfect portable building. We'll deliver your portable building on or before the promised delivery date. When we leave, your new Star Structures portable building will be setup where you want it, the way you want it. 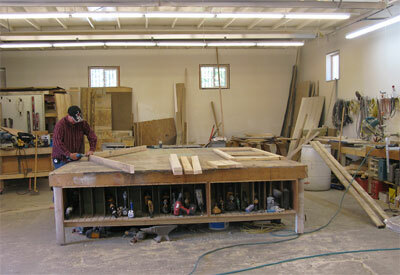 Star Structures of Miles City, MT is committed to delivering our quality products at great prices. To this end we invest a great deal of time in shopping for the best prices on quality lumber, paints, roofing materials, hardware and fasteners. We also make ongoing revisions to our production workflow and manufacturing facility to minimize waste and expedite completion. Our spacious downtown Miles City manufacturing facility allows us to fabricate structures year around, and execute our tight quality controls. Star Structures delivers and sets up its structures in the Miles City, Montana area at no additional charge. A slight mileage fee is added for delivery and setup outside the Miles City delivery area. 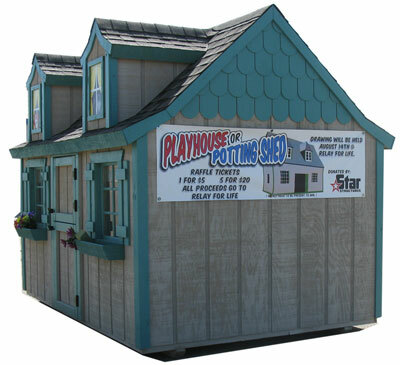 This custom Star Structures doll house was custom built for, and donated to, RELAY FOR LIFE. This Star Structures cabin was custom built and donated to the Tongue River chapter of Pheasants Forever. The Starke family, owners and operators of Star Structures, takes great pride, and plays an active role in the Miles City community. 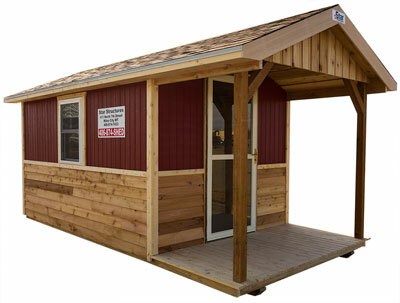 The construction and donation of custom sheds to charitable organizations is just one way this pride is demonstrated.